MC Electronics is fast becoming one of the leading manufacturers of intraoral sensors. 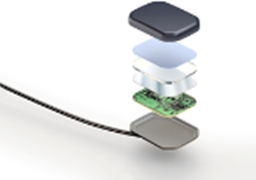 These sensors require special electrostatic-sensitive device handling (to protect embedded PCBs), metallization, non-metallization, IPC-certified micro soldering and custom overmolding, using biocompatible materials to achieve a hermetic seal and to meet FDA compliance. Our experience in this market, from material qualification, to a proven manufacturing process and quality test plans, ensures that MC Electronics provides value on your complex product build and meets your needs. Contact us to talk to an industry specialist today!